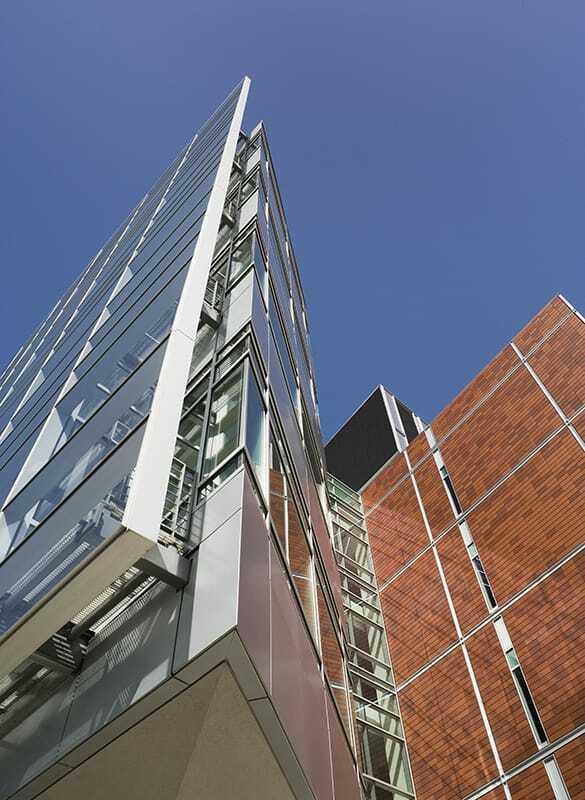 The Biomedical Science Research Building (BSRB) provides a state-of-the-art laboratory and research facility for the medical school. 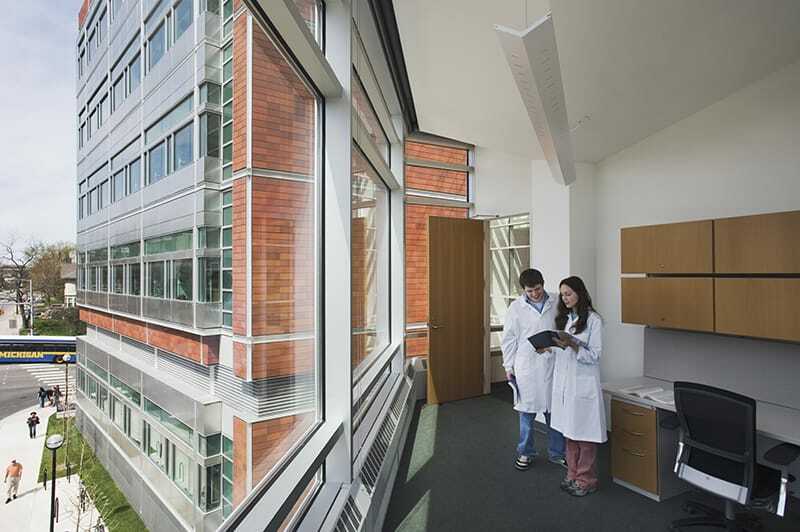 There are 240 biomedical research labs for nearly 1,000 users, 120 offices, 16 break rooms, 12 conference rooms, a 300-seat auditorium and three combinable seminar rooms. 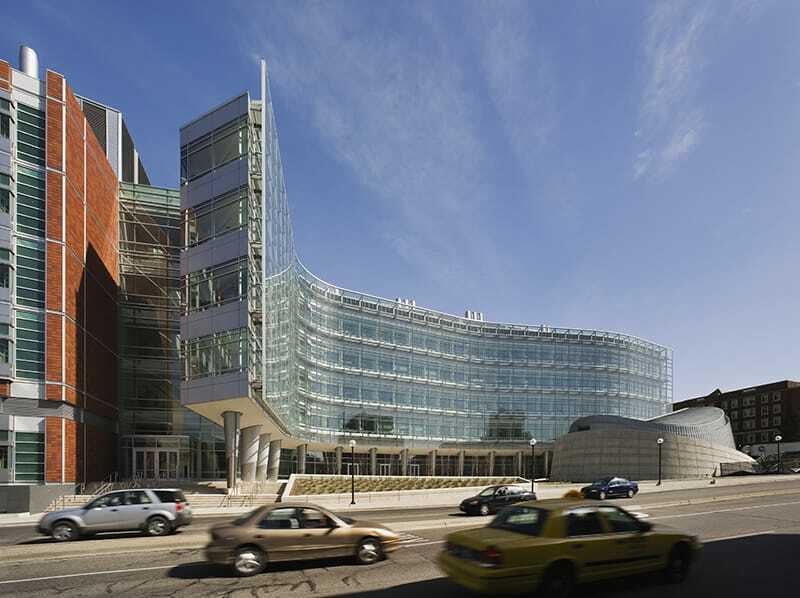 Gilbane delivered the project under a fast-track delivery model with a focus on collaboration, transparency and Lean building techniques such as design assist, co-location and Building Information Modeling (BIM). Quality was a major focus. 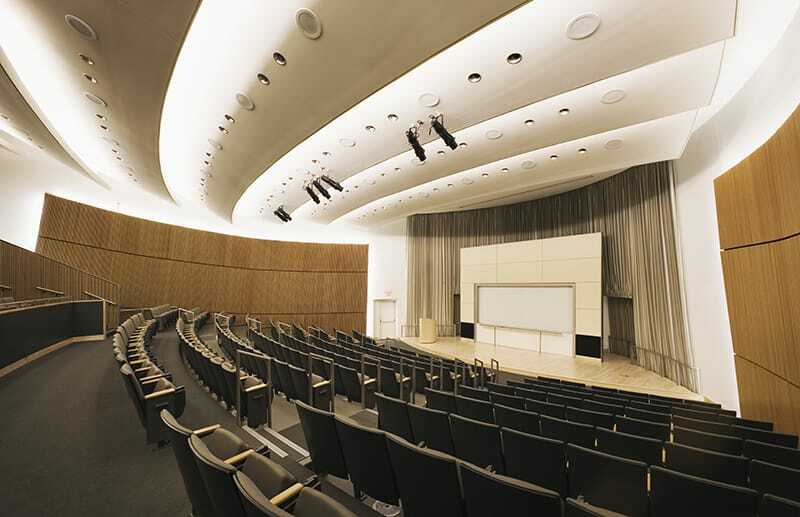 The exterior façade includes a wide range of materials including a curved double curtainwall system; a terracotta, stainless steel, glass and aluminum rain screen system; an architectural concrete, zinc panel and granite elliptical auditorium, and conventional curtainwall system. To ensure quality standards were met, a quality team was established to conduct mock-ups and benchmark reviews of key building systems to ensure a high-quality facility was constructed. While BSRB is unique in almost every aspect, the double curtainwall/rain screen façade is by far one of the most distinctive elements. This type of building envelope is at the leading edge of design for environmentally responsible, profitable, and healthy places to work. On hot summer days, the heat can be vented out of the double curtain wall cavity, reducing heat gain and lowering air conditioning loads. In the winter, the double curtainwall reduces heat loss while still capturing solar gains, thus saving money in the long run.